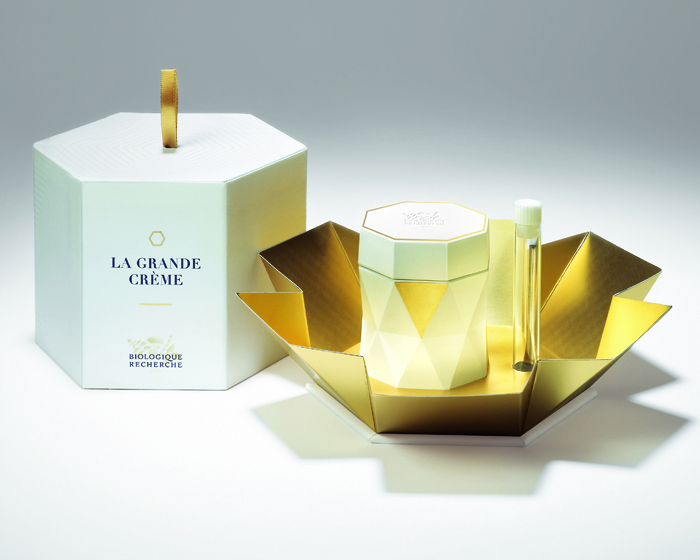 Luxury French skincare brand Biologique Recherche has launched La Grande Créme, a new face cream that is designed to target epigenetic ageing, caused by non-genetic factors including lifestyle. It is formulated with EpigenActiv, a unique peptide that can counteract the effects of ageing and reverse DNA damage. Discovered in Biologique Recherche’s Gene Expression Laboratory, EpigenActiv acts on the epidermal growth factor (EGF) receptors in the skin, to aid the reparation of damaged tissues and promote cellular regeneration. Rupert Schmid, co-owner and co-CEO of Biologique Recherche, says: "Each individual’s genetic heritage expresses itself differently over the course of a lifetime and one’s lifestyle. In addition to EpigenActiv, the cream contains milk thistle and mimosa extracts to revive the skin, peony extract to restructure, extracts of elderflower, chestnut tree and myrobalan leaf to firm, and a complex of Matrikines, Myorelaxant peptides and Carcinine to reduce the appearance of wrinkles. Other active ingredients include: extracts of white tea and watercress spout and soy-based pure Genistein to prevent blemishes, and Oligosaccharides and extracts of Anomala, Wasabi and grape juice to protect the skin. The Biologique Recherche Methodology has a reputation for astounding effectiveness based on a clinical approach to beauty care using intentionally pure, concentrated, raw ingredients, as well as innovative and meticulous protocols and procedures.